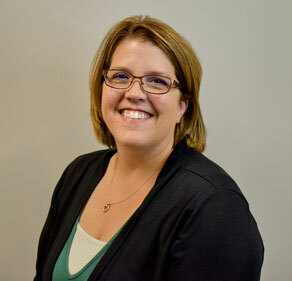 Dr. Jeny Bauer has been a physical therapist for 15 years. She received her Bachelor's Degree in Biology from Southwest State University in 2000, her Master’s Degree in Physical Therapy in 2002 from the University of Wisconsin – La Crosse, and finally a Doctorate Degree in Physical Therapy from Temple University in 2010. Her previous work experience in physical therapy includes time spent at Avera Marshall Regional Medical Center from 2002 to 2009, where she worked in outpatient, nursing home, hospital inpatient, and home care. She also worked at Southwest Minnesota Therapy from 2009 until joining our team in 2016. Jeny has also received additional education in spinal manipulation and kinesiotaping. Though Jeny truly enjoys her job in physical therapy and the challenge of figuring out what is going on and how to fix it, she most enjoys working with patients who have back pain and sports injuries. Jeny resides in rural Lynd with her husband and three children. In her free time, she enjoys working in the garden, reading, and doing home renovation projects.